The main body ECU (driver side junction block assembly) controls operation of the DOME CUT relay in order to supply power to the interior lights. 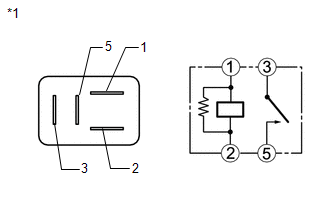 (a) Remove the DOME CUT relay. (a) Disconnect the 2C main body ECU (driver side junction block assembly) connector. 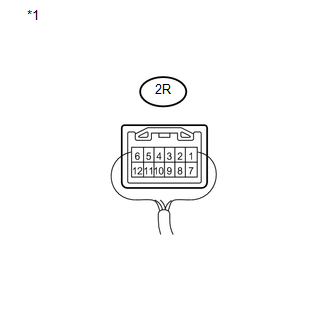 (a) Disconnect the 2R main body ECU (driver side junction block assembly) connector. 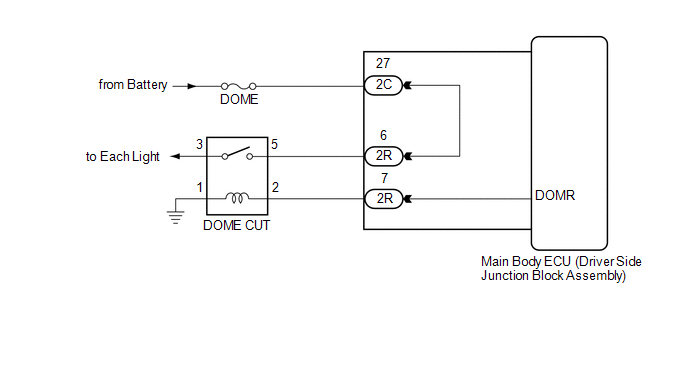 (a) Install the DOME CUT relay. (b) Reconnect the 2C main body ECU (driver side junction block assembly) connector. (c) Reconnect the 2R main body ECU (driver side junction block assembly) connector.